Happy New Year dear friends! I had so many plans for how I was going to welcome 2018 with you right here At the Picket Fence but a nasty flu bug has kept me down for the count for a few days beginning on New Year’s Eve. Super fun, right? So, I don’t have any resolutions to share with you or a ‘word of the year’. But, what I do have are some gentle words of encouragement that I hope will help you as you look ahead to the next 12 months. I’ve shared them here before but I felt they beared repeating. Frankly, the thought of abandoning myself to Him seems completely and utterly terrifying. The unknown has never been something I’ve been particularly fond of. 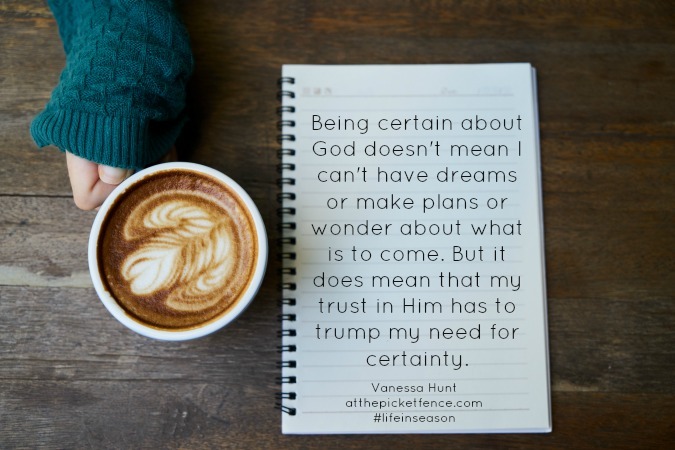 But it does mean that my trust in Him has to trump my need for certainty. Maybe we can form a support group! Who’s with me? 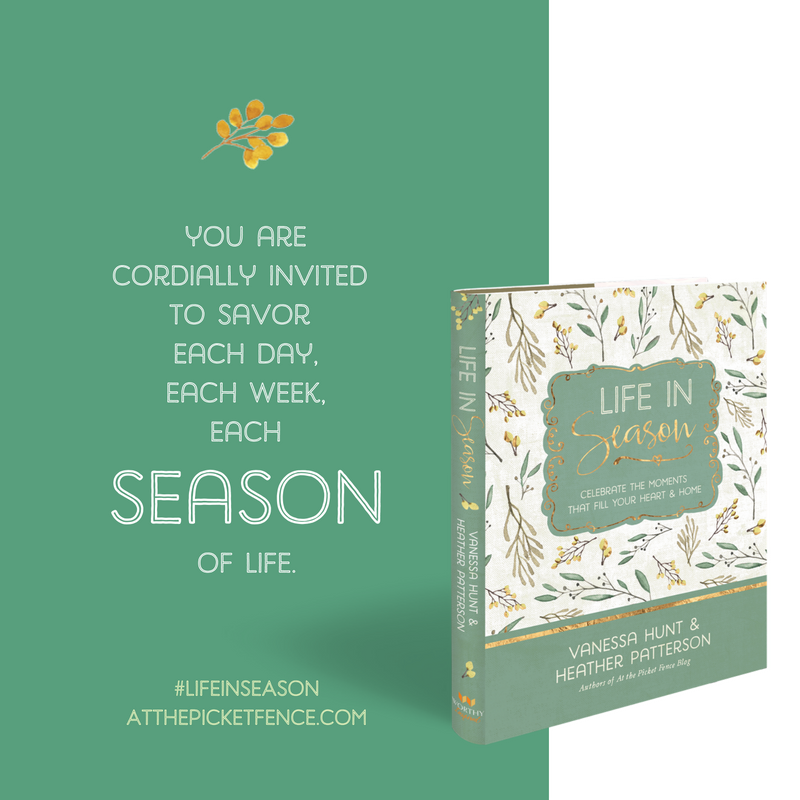 Did you enjoy this excerpt from my book ‘Life in Season‘? Consider purchasing a copy where you will find many more stories like this one that will bring you inspiration for your heart along with four seasons worth of ideas for your home! 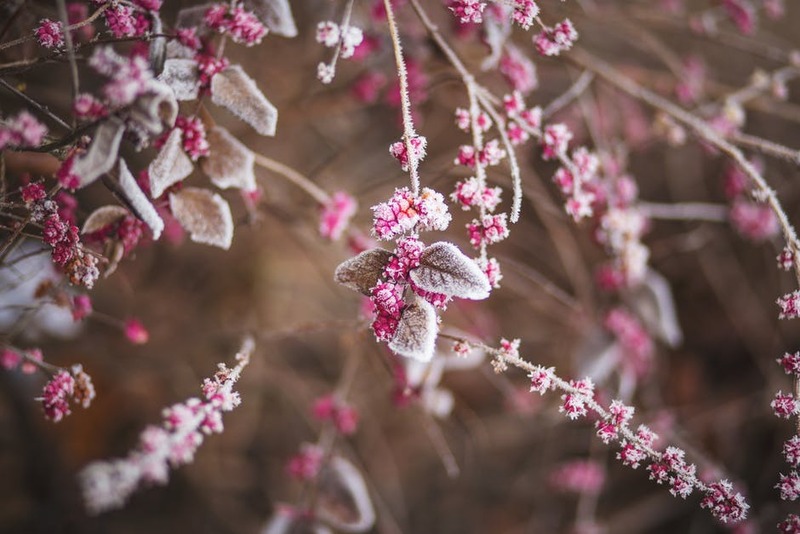 12 Comments on "With Breathless Expectation"
Hope you feel better soon Vanessa….I wish you and your family a most happy, healthy and prosperous New Year!!! 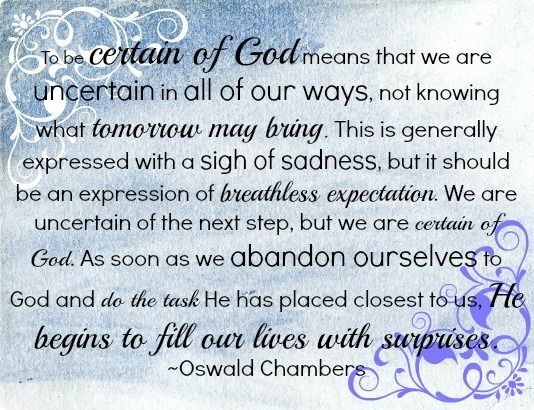 Great excerpt from the book to start off the New Year! Hope you and your family have overcome the bug by now. This is a beautiful excerpt from your book Happy New Year looking forward to see much more of these this year. Do I order this book on this site somewhere? overcoming the need to always be in control . Happy New Year! Thanks Vanessa from sharing from your heart. I can certainly relate. Thanks Vanessa from sharing from your heart. I can certainly relate to what you are saying as I am contemplating retiring in 2-3 years and wonder about the best way to use my “free time”. Vanessa, thanks so much for sharing from your heart. I can certainly relate to what you are saying. I’m hoping to retire in 2-3 years and put a lot of thought into the best way to use the “free time” that I will have. I’m sure it’s necessary to have a Code but this is about my 5th time to retype the same message because I supposed that I didn’t type the right code. I have so enjoyed you and your sister’s book, Life In Season! Love your blog too! 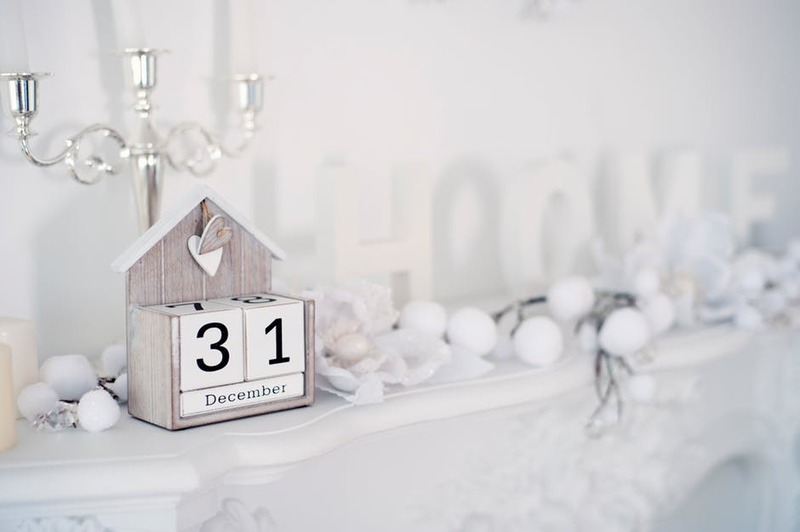 May you have new year full of good health, joy and blessings from God above!